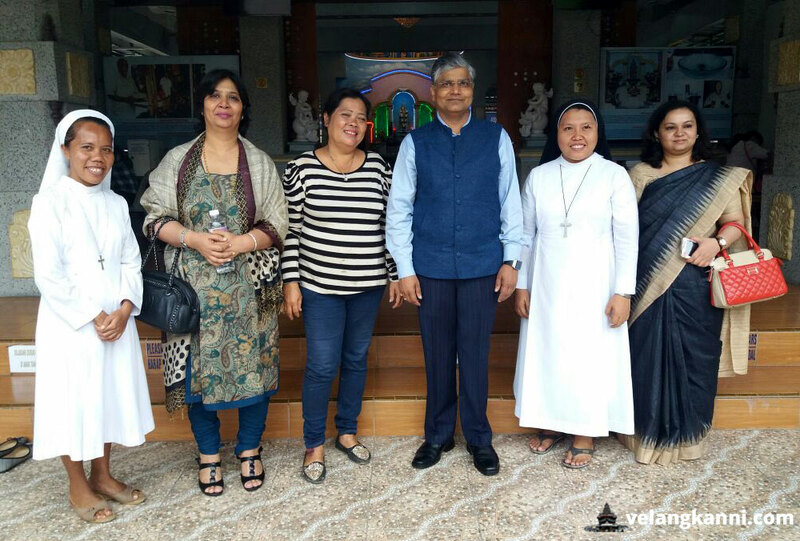 Ambassador of India to Indonesia His Excellency Shri Pradeep Kumar Rawat accompanied by the Consul General in Medan Dr. Shalia Shah visited the Marian Shrine of Graha Maria Annai Velangkanni on November 29, 2017. The visit to the Shrine is in conjunction with his visit to the Consulate General of India office in Medan. Sister Jeanne Panul and Sister Garilyn Funtilon represented Father James Bharataputra, who was at that time in Malaysia, welcomed the group and gave a short briefing on the history of the Graha Maria Annai Velangkanni.